Remember when Spanish food was going to be the next big thing in America? 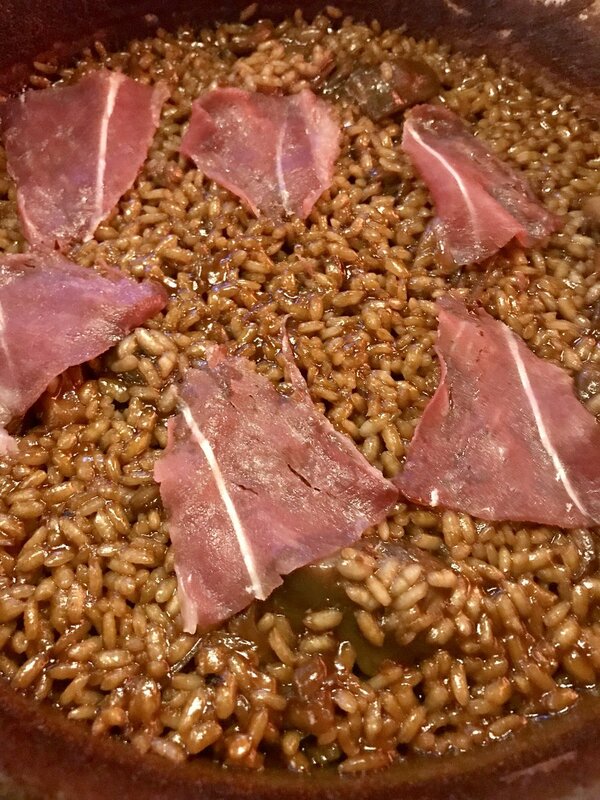 We’re talking about 25 years ago when Jaleo first opened in Washington D.C..
Or maybe it was when Ferran Adrià made such a big splash with El Bulli around the turn of the century. Everyone couldn’t wait to get on that deconstructed bandwagon, could they? Or how about Cafe BaBaReba? It was damn tasty (in the Fashion Show Mall, if you’ll recall), but came in the early aughts and left after five years. Or perhaps you remember the excitement when José Andrés opened The Bazaar in Los Angeles in 2008? Back when his molecular cuisine was going to take America by storm? How did that work out? All of these (accompanied by breathless food writer prose) presaged a Spanish revolution in American eats. In hindsight they amounted to more false starts than at a track meet for the deaf. 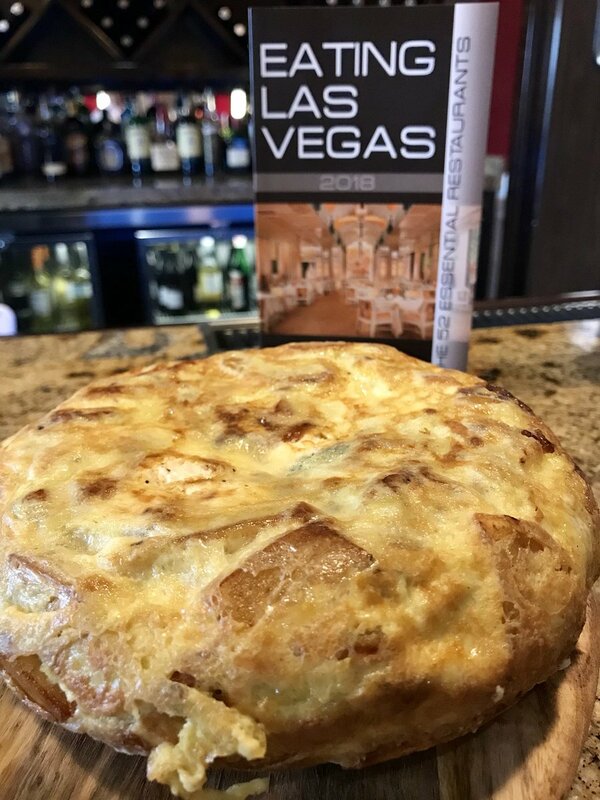 But 25 years after one, 10 years after, another and 7 years after the last prediction, Spanish food is finally sweeping Las Vegas off its feet. 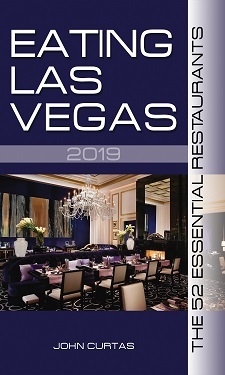 And by “sweeping off its feet” I mean Las Vegas now has more tapas than you can shake a pinxtos at. Overnight (and by “overnight” I mean the last two months), we have seen three (count ’em 3!) Spanish-style joints open up in the neighborhoods — and they’re all very different from one another. And they’re all great. So let’s count the ways Spain is finally conquering our food scene, beginning with the most traditional of the armada. 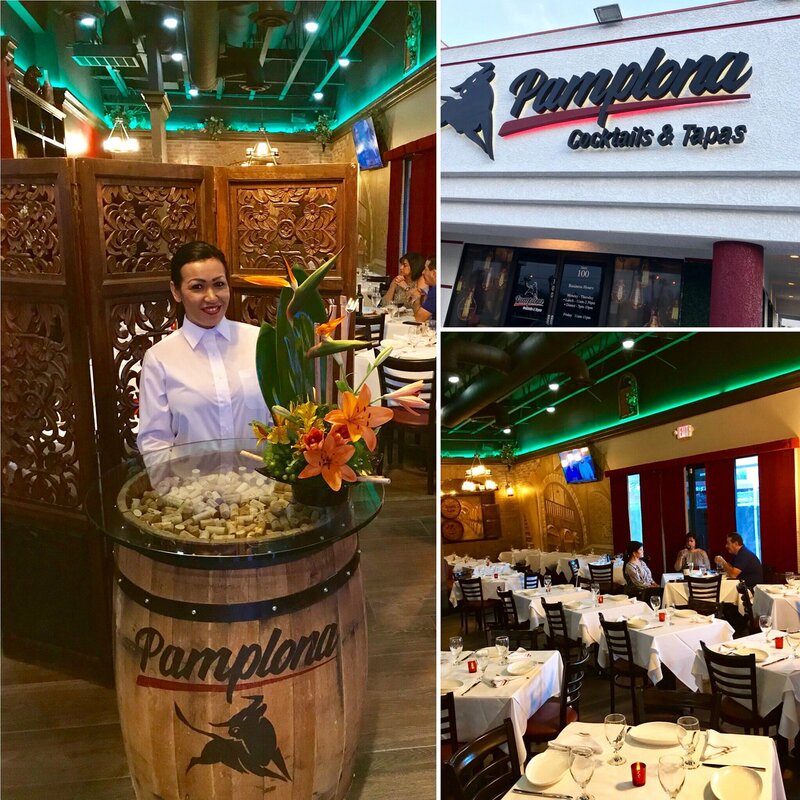 The first thing you notice about Pamplona Tapas & Wine is how nice it looks. Tucked into one of those generic strip malls on west Sahara, it occupies a space that has housed several failed food operations — all of them done on the cheap and none of them lasting for more than a year or two. Owner Marisol Crespo also owns the shopping center in which it is located, and her attention to detail informs the comfortable surroundings, and the intimate cocktail bar, each of which beckons you as soon as you leave the commercial environs of the street behind. She also had the good sense to put Errol LeBlanc behind the stoves, and his decision to hew closely to the classic flavors of Spain makes PT&W your essential first stop on any tapas tour. You’ll want to grab a cocktail from the small-but-mighty list, or a sangria that takes a back seat to no one’s. Then you’ll move over to a table with proper linens on it, and dive into a menu that would be right at home in Madrid. Start your meal with whatever they suggest, but don’t miss the jamon serrano on crusty bread, or the spicy sobrasada sausage spread. (I also like the Spanish cheeses they serve, which are pretty much the same cheeses they serve at every Spanish restaurant, but I don’t like them so much I want to fill up on them.) Move on from there to some Peruano snapper ceviche with piquillo peppers, and then buckle your seatbelt for the most authentic versions of aceitunas (olives), patatas bravas (baby potatoes), setas al ajillo (mixed mushrooms with lots of garlic), and piquillo relleno de queso de cabra (roasted, stuffed peppers), and a tortilla Español (pictured above)that Las Vegas has ever seen. 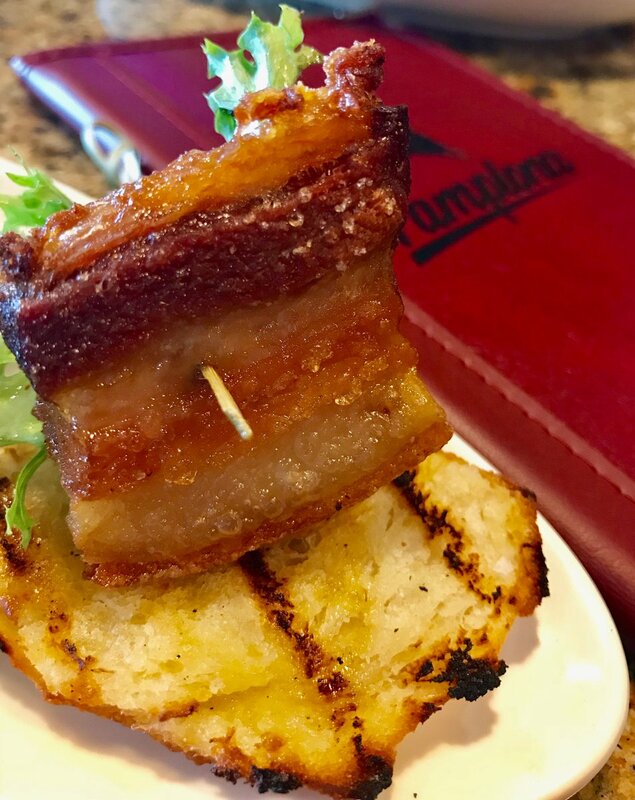 Not to take anything away from Julian Serrano (the chef or the restaurant) or José A., but once you’ve tasted these versions, there’s no reason to endure the indignities of the Aria or Cosmopolitan hotels again to get your bite of Spain. Garlic is to Spanish food what butter is to French, so gird your loins for some of the most pungent dishes you’ve ever experienced. This is not to say the dishes are bereft of subtlety (LeBlanc knows how to balance his flavors), but only to give fair warning that sharing is essential unless you want to knock your partner over with your breath later in the evening. They also do a fine job with all of their plancha’d, grilled and skewered meats here — with the honey-glazed pork belly and finger-licking-good lamb chops the ones not to miss. About the only thing I can’t recommend about Pamplona is the wine list. It looks like an afterthought, or, even worse, the handiwork of some wine salesman who threw it together on his way to a bigger account. In this era of so much interesting wine coming out of Spain, Portugal and South America (at all price points) its meager selection does no justice to either the food or the atmosphere. And even though no one’s going to drink it but me, there should be several sherries offered by the glass. Very pleased to see your writings again! So happy to see a review from you once again!! I have relied on you advice for my frequent sojourns to your fair city. Thanks for this recommendation. I cannot wait for the others!! !